Swapping is a valuable Linux process that can allow you to essentially add more memory to your Linux instance than it actually possesses by overwriting new new information into a preconfigured swap space. 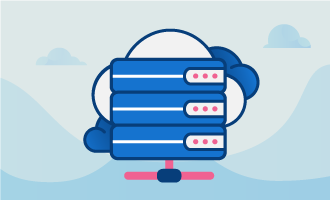 By default, our GloboTech Cloud instances come without swap enabled as swap can slow down the performance of a system. However, depending on your landscape you may still find the ability to artificially increase your memory a useful tool even at the cost of some performance. Swapping will first and foremost allow you to circumvent a system needing more memory than is physically available. If a running process does not have enough memory, your Linux instance will switch to using the swap space and start swapping out less used RAM (random access memory) chunks known as pages and giving this memory to the process. In any Linux system, a significant number of memory pages that used by applications are in fact only used during their initialization. This means that even when running at full memory capacity, your Linux system will still have the capacity to utilize swap and free the memory from these unused pages. However, as stated above, swapping does have a downside as it can be a slow process due to its direct reading and writing off of the main hard disk instead of to memory. While memory speeds are measured in nanoseconds, disk speed is instead measured in milliseconds. This means that when using swap, you may find that accessing the disk can be even tens of thousands of times slower than accessing the physical memory, and the more swapping that occurs, the slower your system will become. If you have an instance that a system is constantly swapping memory, and not only for a few particular use cases, then the only true solution will be increasing the RAM. If not, then swap is a reliable choice that can save you trouble in situations of tight memory availability. Without swap on your server, you can run into cases where your instance is simply out of memory and will crash, taking your applications temporarily offline. This makes swap ideal as a back-up plan in the case that your memory is overloaded, so that you can rest in peace knowing your system will be protected from memory-induced crashes. If you find swap to be a good choice for your Linux-based instance, this guide will show you how you can add swap memory to your GloboTech Linux-based instance. Note that the information in this guide will pertain to the majority of Linux-based distributions such as CentOS, RHEL, Fedora, Ubuntu, and Debian. Swap memory can be allotted to your instance in one of two ways. The first, more complicated method requires the creation of a new partition to be used for swapping. For this, you will oftentimes have to repartition your disk in order to create the empty partition required and this can create more difficulties for your landscape and can be rather risky. The second method, creating a swap file, removes this requirement and is the preferred way to add swap memory with as little impact as possible on your existing infrastructure. The swap file acts as a swap partition with the advantage being that you will not need an actual empty partition or need to repartition the disk to use it. The size allotted to the file will determine the amount of swap memory that will be available on your server. This is the easiest method of adding swap memory as it is fail-proof, requires zero risky repartitioning, and can be done in only a few easy steps. With the file created, we will need to set restrictive permissions on it in order to prevent it from accidental alterations by system users, which would break the file. Congratulations! Having completed all steps in this guide, your Linux instance. Now that all steps are completed, your system has a permanent swap file created which will be auto mounted at every reboot. Enjoy the extra memory!